As a child, I didn’t know or care much about adulthood and complexities of life. I wanted to end up with a job that pays well so I could buy an unlimited supply of cartridges for my arcade gaming console. Adulthood was simple! However, I grew up and like a lot of people realised that things don’t work that way. People who get into things just for the money are not the happier ones. The happier ones really enjoy what they do, the money is co-incidental. By that logic, I should’ve learnt things that enabled me to build games on cartridges! However, by this time, my fascination had naturally moved from cartridges to computers. So, I went to college and earned a degree in Computer Engineering. Till now my simple plan was working well. Computers were still a recent phenomenon in India. When I enrolled, it looked like a straight path between getting a degree and getting a career. But, by the time I graduated, I had realised that I had to choose further from a mind-boggling array of technologies and options. I hadn’t anticipated the sheer size of the field I had entered. It was like a complex sign up form with too many fields and massive dropdowns! I didn’t have access to professional counselling or guidance that would help me understand my best options. Asking people around me for advice, just got me more confused. Everyone said the best things about the technologies they worked with. However, talking to seniors and friends helped me shortlist the ones that seemed to offer a lot of growth and excitement (and money, I still wanted my cartridges!). My options were down to Java, PHP, .net or Networking. One of my other worries then was that if I chose one at the start of my career, I might not be able to switch to something else later. I was confused, in stress and I needed to make one of the most important decisions of my life; standard recipe for feeling lost. There was however an easy way out. I could just postpone this confusion and clutter and study further. In my opinion poll, an MBA had come up too often as a great direction after engineering. All I had to do was pass a couple of qualifying tests for various institutions. For that I needed to study and that was something I had done for the majority of my life. The plan was simple again and my nerves were calmed. I passed those tests and made it to the next round– the personal interview (PI). One of the colleges that I appeared for the PI was in Pune. There’s usually a long wait of at least a month between the interview and selection, since there are a lot of students to be interviewed before they shortlist the successful candidates. All I could do now, was wait. I decided to stay in Pune for the waiting period and started looking for shared apartments. One day while checking a few of them out, I ran into one of my college friends. We became roommates! I had a lot of time to kill and a roommate who was working as a WordPress Developer (with rtCamp), something that I had never heard about. I couldn’t help but look into it. With a little exploration of PHP alongside, I picked it up pretty fast. I had just learnt a new skill that I was confident about, I had even more time till my actual classes would start and this time, there was no pressure. I could get a job for a couple of months. I sent in my resume to a couple of companies. Obviously, I also applied to rtCamp. Guess what? I got a call from rtCamp, everything went well and I got the job! In the first few days at rtCamp, I was encouraged to dig into WordPress in detail with self-learning targets. Picking up the basics of WordPress was easy, but to figure out everything else wasn’t. There weren’t as many tutorials and learning materials as there are now. Most of my learning involved checking out the core and it seemed very messy and confusing. I got a lot of help from others, especially from Joshua who was my mentor. In no time, I was building themes, plugins and complete websites. I also realised that I was genuinely enjoying what I was doing. The irony did not escape me. I came to Pune because I was running away from a decision that I found too difficult to handle. And just like that, I had arrived at my answer. I had a job that I loved and enjoyed. The temporary job that was supposed to fill in time till my MBA started went on for three more years. Goodbye MBA, I was a proud WordPress developer. At the end of those three years, for various reasons rtCamp and I decided to part ways. I started looking for a job and I saw an opening at BuddyBoss. It seemed like a great opportunity and the folks seemed great. I sent in my application. I’m not sure if I can explain this part but let me try. I come from a small town of a third world country where the idea of a respectable IT professional is limited to the clockwork stereotype that works for MNCs whose main function is outsourcing. It was very difficult to explain what remote working was to my family and friends. It was just too alien to them. I’m sure it happens everywhere but in India, it just didn’t seem like a “real” job to anyone. When everyone around you raises concerns about a decision, you obviously begin to doubt it. On the other hand, BuddyBoss seemed like an awesome organisation, with great folks and the things they were building seemed interesting. I had worked a lot with BuddyPress at rtCamp and I had quite enjoyed it. I had never enjoyed 9 to 6 routines and commuting to office everyday. The idea that you could avoid all that and work out of home, at your own timings was just crazy. I couldn’t let this opportunity go. I soon found out first hand what remote working felt like. I didn’t have to work from home. I could carry my workplace in my bag. It meant I could work out of a cafeteria, or a friend’s place if I wanted. It meant I could visit my hometown and my parents more often. It meant I could travel and see new places while I was working. It also meant I could buy way more games for my PS4 (I was still the boy who loved gaming!). It wasn’t easy; you need more discipline and you need to put in extra efforts compared to just showing up at work everyday and finishing your tasks. But it was worth it. I felt like I had wanted to do this all along. Let’s rewind. Just a few years ago, I was a fresh engineering graduate from a small town, from a middle class Indian family, who was terribly worried about finding a half decent job that could give him a slight chance of happiness. 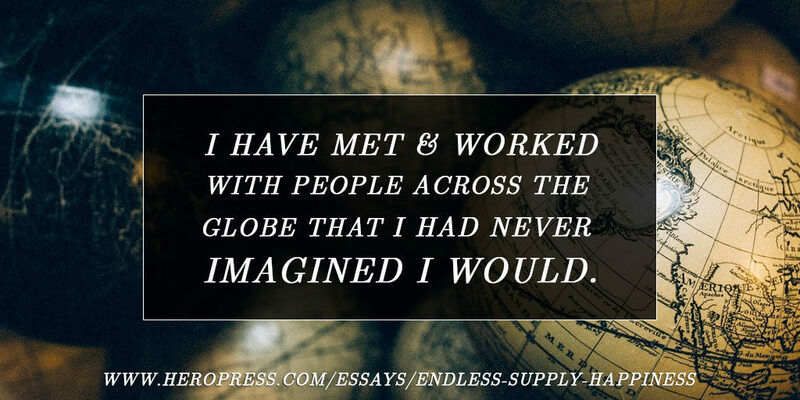 Since then, I have met and worked with people across the globe that I had never imagined I would do and I haven’t even set foot outside India yet. I have been to meetups and WordCamps where I met my colleagues from BuddyBoss and a lot of other amazing people with their own amazing stories. My daily vocabulary consists of open source, remote work, contribution and community. These weren’t concepts that existed for me then. I remember when I submitted my first patch, I really felt a part of something big and exciting. I felt a sense of belonging to this awesome group of helpful people that we call the WordPress community. To be honest, it wasn’t a difficult journey filled with hurdles and my story isn’t one of overcoming my circumstances. What I would take away from my story is the extent of transformation that I could achieve thanks to the WordPress community and ecosystem. The opportunities that WordPress provided me, I don’t think I would have found anywhere else. Not just me, I’m happy to see that more people around me are able to find their own slice of happiness thanks to WordPress. On one hand, I see people running in a rat race, living in a world that’s a cruel, cut-throat competitive arena. I was once planning to get there. However, a whole bunch of strangers across identities and geography, helped me have a meaningful and comfortable life experience instead. I do appreciate the contrast and I sure feel a lot of gratitude. Glad to see you here on HeroPress. ? ? Thank you for sharing your reflections on your journey. Well told, and inspiring. The economy of the United States of America has been changing a lot in the past 16 years, leaving many people behind economically. There are many people in our country who would benefit from learning about the opportunities that working with WordPress can provide. It takes a foundational education (like what you received at University) and ongoing hard work, but you demonstrated that it can be done. Very intersting story, same situation in my country Kazakhstan too. But its easier than in India to find job based on developing websites on wordpress in Kazakhstan, because our population not so big, and we have few specialists. I am 57 years, I have a great desire to learn. My blog is my online refuge. Wordpress an endless EARNING trip. I enjoyed learning code, but I have a lot of lack of concentration. But I continue my struggle every day I learn a little more, contact people from other countries is fascinating. 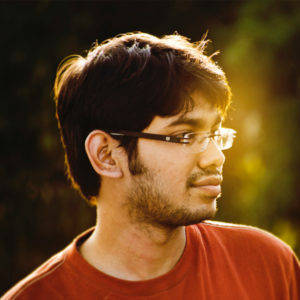 Beautiful story Abhishek, I love how WordPress is woven through your life. For me, I came to WordPress then drifted into another CMS for 18 months, only to return really motivated to learn everything I could. I am so grateful for the simple user experience of WP, it really makes getting on with the joy of writing so much easier. Well written. You have pointed out the most crucial thing in life, which we all lose focus of – “Happiness”.